Late May is a very busy place on a vegetable farm and we are definitely feeling a bit of the late May frantic-farming-feelings. 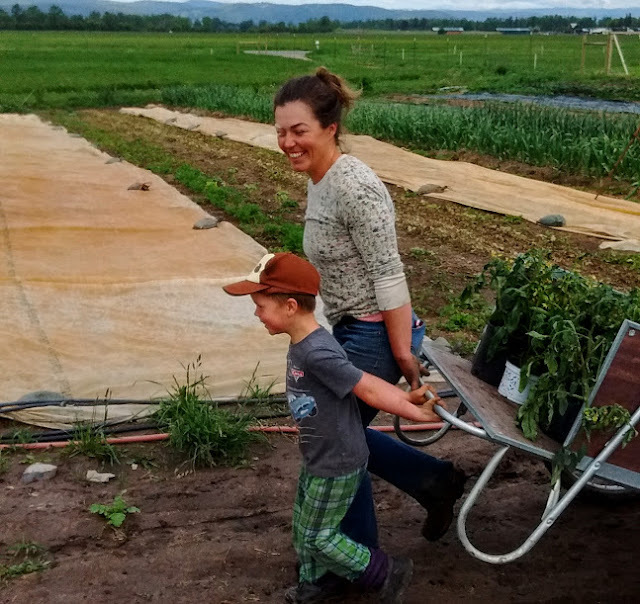 Last week we turned the hoop house over from early spring crops to the main season heat-loving crops. Tomatoes, peppers, eggplant, basil, and cucumbers are all in the ground and growing. The first field plantings of lettuce and arugula are harvested. These beds will be flail mowed and planted to summer crops this week. Our first planting of kohl crops, including broccoli, cabbage, kohlrabi, and cauliflower have been in the ground about a month, got weeded last week, and they are coming on beautifully under floating row cover to keep cabbage moths out. We will be mowing down the over-wintered spinach this week to get another planting of kohl crops in. The potatoes are up and looking great and those got cultivated (weeded) last week. The summer squash, winter squash, and corn are going in this week. And we are continuing with our usual bi-weekly plantings of roots and greens. Phew...it's a lot of harvesting and a lot of planting the last week of May! We plant lettuce mix every two weeks April through mid September. Our second planting of lettuce mix in the field isn't coming on strong enough to include in the shares this week. Also, the radishes planted a month ago that *should* be ready this week are still teeny tiny. I like to change up the salad greens every week but instead of the lettuce mix I had hoped for, luckily we have another Truly Perfect planting of arugula coming in this week. But! There will be lettuce mix coming in the shares about every other week coming soon! Make a tasty stir fry this week with your Bok Choi! Remember: you eat the whole thing! We love the crunch the white bulbous part brings to a stir fry. And it would be so good with the cilantro either in a coconut milk curry or in a peanut sauce. These little baby onions are good to eat from root to tip so use the whole thing! We love grilling them, thinly slicing them and sauteing with braising greens, or topping a salad or slaw with raw onions. I love arugula salad with a nice creamy homemade dressing. Other wonderful ideas for arugula are chop and top on a pizza. Use in place of basil in a pesto recipe (!this is so good!). Very lightly saute and scramble with your breakfast eggs. Chop up and add to an omelet, frittata, or quiche. Our apologies that the chard is a bit chewed on by bugs this spring and it also got dinged by hail last week. Since chard is eaten cooked that cosmetic damage to the leaves will leave it no less tasty. The rainbow colored ribs are edible. I usually very finely dice them and saute them with onions, they need a few more minutes cooking time than their greens do. I love chard cooked with garlic and with any egg dish. It can also be substituted for cooked spinach in any recipe. Try a spinach dip, lasagna, or Spanakopita (green spinach pie) with chard instead of spinach! I always wish there was more time to include recipes because we get so much positive feedback on the recipes. I know it helps use veggies you may have never tried before, or gives you new ideas for veggies you use often. A couple weeks ago I took a picture of a meal we ate for lunch or dinner. 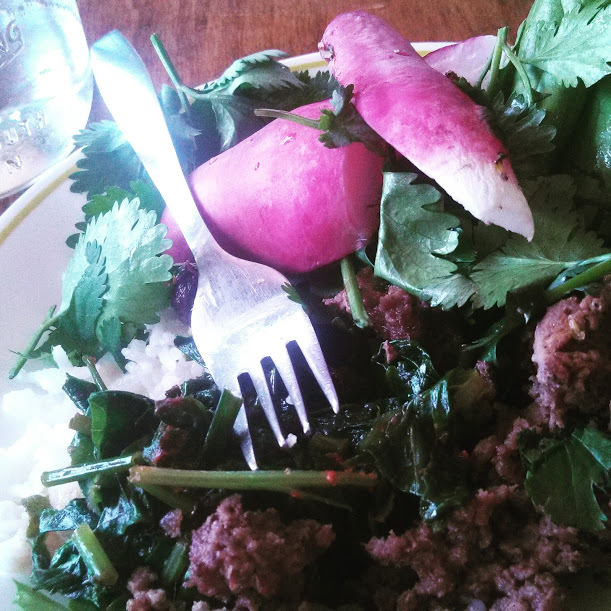 It had three different types of left over greens, all piled up with grass fed ground beef and grilled radishes. Not much of a recipe, but, that's kind of how we eat in the summer. We get so busy and also are SO hungry. But I know 'chop it up and eat it' isn't quite enough direction for a recipe...luckily....I remembered an AMAZING online resource for seasonal fresh cooking! A good friend of mine just so happens to be working for a CSA farm on the East Coast where her primary job for the farm is testing out and writing recipes for their website. AMAZINGLY it is all free and online! Check out: http://www.earlymorningfarm.com/vegetable-guide/where my good friend Tracy is pouring her love of cooking fresh food into every page on their website. Have fun looking around this extensive collection of really useful recipes. Those tiny radishes should be ready next week. And it looks like the second planting of Napa Cabbages are heading up nicely. Remember! This is spring in Montana! 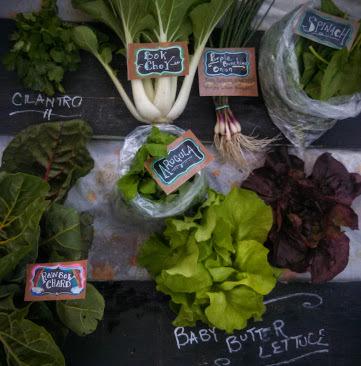 We are planting, cultivating, and watering all our summer and fall crops but we still have weeks to come with a beautiful bountiful CSA box full of (mostly) braising greens, Asian greens, and salad greens. 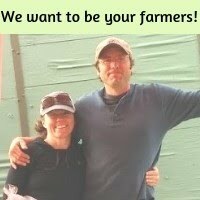 We are so grateful to have you in our CSA this year and we hope you enjoy this weeks veggies!